Lady Isle poses two problems for the birder. 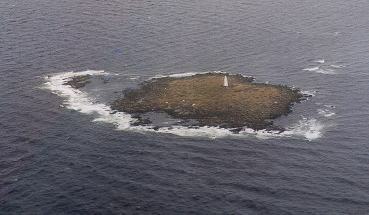 Firstly, being an island 4 km off the Troon coast (NS 27 29) a boat is required to gain physical access. 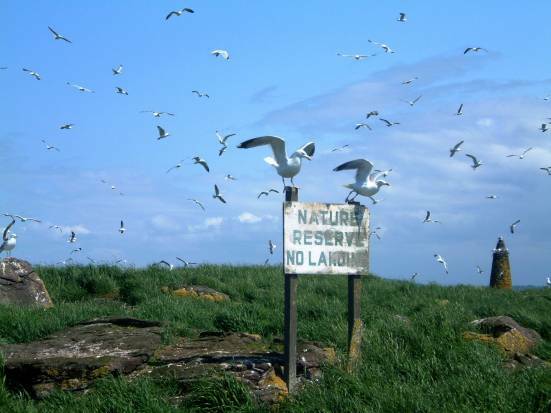 Secondly, it is a privately owned island so access is restricted to those with permission from the owner. Without permission it would still be possible to get good views of the birds and the seal colony by circumnavigating the island in a boat. A calm sea is required to get the best views and to avoid a rough crossing. For many years there was a summer warden on the island whose job it was to protect the Roseate Terns that used to nest there. Nowadays, however, the terns have vanished to be replaced by a large gull colony. The Shag colony has decreased, whilst the Cormorant colony has grown to a significant size. A number of smaller waders can be found on the island especially in winter. Purple Sandpiper, Dunlin , and Turnstone are common in winter. Passerine flocks e.g. Twite can often be found on the island along with a few resident Wrens . Teal and Wigeon are also regular visitors in winter. It is worthwhile scouting the flocks of Cormorant and Shag on the sea, as an escaped Emperor Goose has been regularly seen over the past -4 years. On the crossing over to the island in early spring Red-throated Diver, Black Guillemot and Guillemot can often be seen at close quarters. 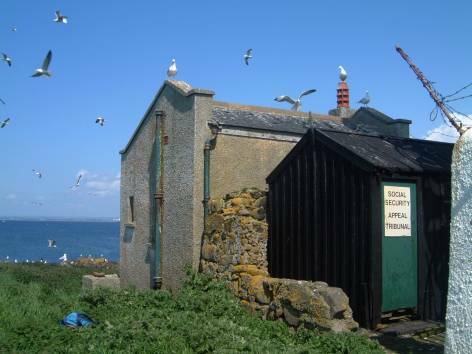 For an account of a ringing expedition to Lady Isle see this article.